Mashed potatoes, candied sweet potatoes, and pumpkin pie are all dishes that are fixtures on the Thanksgiving dinner table in American households. However, the fact remains that these dishes would have been absent from the dinner table at the First Thanksgiving in 1621. Here is a little bit of history about the people who celebrated the First Thanksgiving and the foods they likely ate at that time. The first Thanksgiving was an English-based special celebration of thanks celebrated by Protestant Sectarians who called themselves Separatists, Saints, Calvinists, Planters, or Englishmen but never Pilgrims (that is a Victorian term applied to them). Interestingly, of the 102 passengers plus about 30 crew who sailed on the Mayflower, only about 37 were Separatists. These people were separating themselves from the Church of England to create their own pure form of the Protestant religion based on the teachings of John Calvin in the Massachusetts Bay Colony. The Mayflower landed at Plymouth in the Fall of 1620 but the people remained on board ship throughout the winter. The settlers did not come into direct contact with the local natives, the Wampanoags, until March 16, 1621, when a Wampanoag Indian from Maine, Samoset, visited the village. He had learned some English from prior contact with English near his home in Maine. He returned with Tisquantum (aka Squanto) who knew English very well from his previous captivity in England. Together they taught the English about local berries, nuts, and fish and taught them how to farm Indian corn, beans, and squash. In that same month, the settlers and the Wampanoags, represented by their leader, Massasoit, entered into a treaty of mutual protection. The First Thanksgiving was actually based on a British tradition called Harvest Home. It was held when it was felt that God had bestowed his providence on the people in an extraordinary way. It occurred at some point in the early fall of 1621, no exact date is known. Harvest Home was only meant to be celebrated at special times, not annually. The second was held in 1623. There are very few first-hand accounts of the first celebration and/or about food in the early days of Plymouth Plantation. One account was written by Edward Winslow to a Friend in England and appears in Mourt’s Relations, 1621; another source about food comes from a letter written by William Hilton of Plimoth; and, finally, William Bradford's Of Plimoth Plantation, written in 1647, discusses some of the food available. Four men were sent to hunt for wild fowl; turkeys may or may not have been hunted. The celebration lasted three days. The men held shooting games. This may have alarmed the nearby Wampanoags who went to offer help thinking the settlers were under attack. 90 Wampanoags were this invited to join the celebration, and they secured five deer to add to the feast. What Else Could They Have Eaten? There were lots of food options available to the colonists to be had through farming, hunting, and gathering. It is not known the extent to which the colonists embraced the local produce but this list represents some of what was possible to eat. 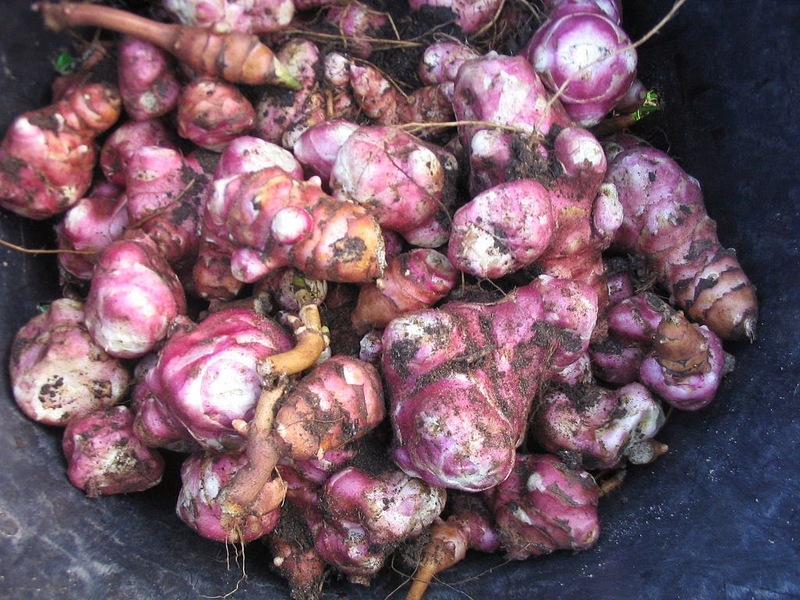 Sunchokes, Jerusalem Artichokes from the plant, Helianthus tuberosus, which is a relative of the sunflower family. Important: There is no evidence that cranberries were embraced by the colonists at this early date of settlement. Salad herbs such as onions, leeks, sorrel, yarrow, watercress, flax, lettuce, carrots, cabbage, and other leafy greens. After about 30 minutes, add the Jerusalem artichokes. Cover and cook approximately 2 hours until the beans are tender, stirring often to prevent sticking. Periodically skim off the froth that rises to the top. 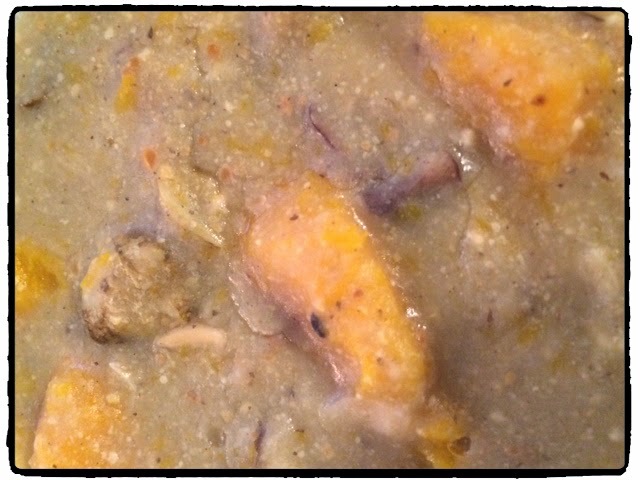 Stir in the squash and simmer until tender, about 30 minutes. Add the nut and seed flours, stirring until thoroughly blended, season to taste (if necessary), and serve. Note: Meats(venison and/or any wild game or fowl) and other local/seasonal vegetables can be added to this stew.